Jermain Defoe says he would swap the OBE he has just received to have Bradley Lowery back in his life. The AFC Bournemouth striker was named in the Queen’s Birthday Honours List for his charity work. The 35-year-old set up the Jermain Defoe Foundation in 2013 to support vulnerable children in the Caribbean. While he was at Sunderland between 2015 and 2017, Defoe befriended Bradley, a local fan. Bradley's brave battle against Neuroblastoma, a rare form of cancer, touched the hearts of the football world and beyond. 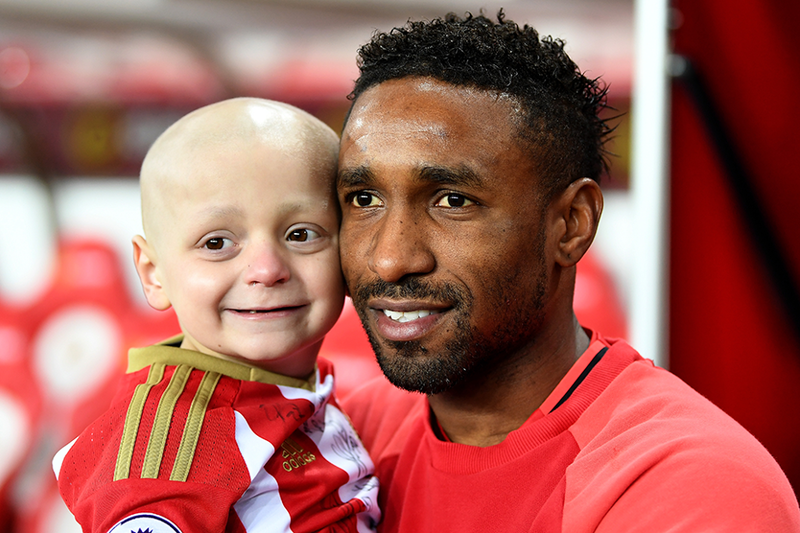 On Twitter, Defoe dedicated his OBE to Bradley, who passed away at the age of six in July 2017. In the honours list, Kenny Dalglish was also knighted. Dalglish won top-flight and European trophies as a player and manager at Liverpool and guided Blackburn Rovers to the Premier League title in 1994/95. The Scot's knighthood also recognised his support of the families affected by the Hillsborough disaster, and The Marina Dalglish Appeal. Also honoured from the world of football were Andy Halliday and Roisin Wood. Halliday, a PGMOL Select Group assistant referee, was appointed MBE for services to football, including his work with the Army FA. Wood, the chief executive officer of Kick It Out, was appointed OBE for services to tackling discrimination in football.